Don't be put off by the European Parliament, Brussels isn't bland and full of bureaucrats. There's enough art and design and hip happenings and history to make this multicultural city a super city break destination. Plenty of the best places to stay in Brussels reflect this wealth of culture - there is a wide range of accommodation, from trendy guesthouses to luxury "grand dame" hotels. Brussels has always been a fascinating mixing pot. The African quarter, just a few blocks from the wealth of Avenue Louise, has long infused the cuisine and culture of Belgium's capital. Within this city of grand Art Nouveau architecture some of the world's best known surrealist art was created. Brussels has good food, a very lively cafe culture, great shopping, a warm pub scene and plenty to see and do. And it is beautiful. There are plenty of accommodation options, eating choices and entertainments to match all budgets. Find a traditional restaurant off the Grand Place and sample Belgium's famed double fried frites with mussels, washed down with beer and followed by waffles. Experience the blending of Flemish and French cuisine which typifies the atmosphere of cultural fusion in the city that, since it began hosting the European Parliament, has only grown more multiculturally diverse. Brussels is all variety - in the cuisine, the background of the citizens and most dramatically, the architecture which spans from the medieval Grand Place to a funky space age structure called the Atomium built in the 1950s. A city stroll will reveal modernist or surrealist art painted onto walls and metro stations free for the viewing, along with the Flemish architecture of the houses and Art Nouveau buildings of the city centre. Slip inside the Musees Royaux des Beaux-Arts or the Museum of Modern Art to see an even wider range of Belgian art and spend an evening at the La Monnaie Theatre and opera house to get a taste of Belgian theatre. Strolling the streets is almost enough, the architecture is so beautiful, but don’t miss the delightfully Gothic Eglise Notre-Dame du Sablon, it's worth a look in. Kids will love Manneken Pis, the fountain statue of the little boy relieving himself cheerfully. It is just back from Rue Charles Buls, the tourist street of chocolate shops. They may also be interested in taking a chocolate tour or chocolate making workshop. For a real sense of Brussels's multicultural heritage, visit the Musees Royaux d'Art et d'Histoire, which has an excellent ancient Egyptian section. The family of stuffed iguanodons at the Musee des Sciences Naturelles, will be another highlight for kids. If you fancy a night out, visit La Peruchet, a puppet theatre aimed at kids. Plan to have one of your meals in Le Cirio - yes, it's touristy now, but the beauty of this wonderful 19th Century grand cafe is worth the crowds. With such a lot on offer Brussels is a surprisingly popular destination. 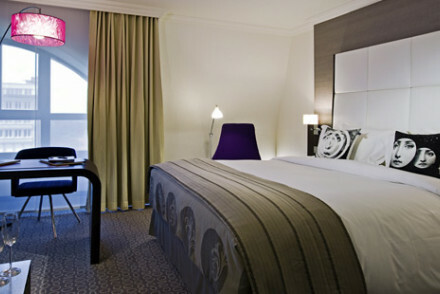 To be sure of a bed in one of the best places to stay in Brussels do plan ahead and book early. 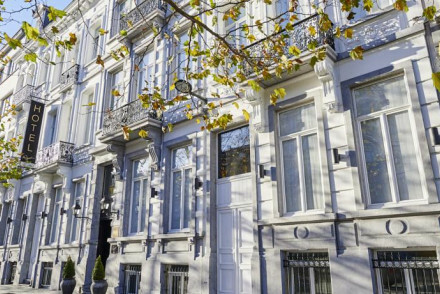 For unfussy elegance and lots of natural light, townhouse hotel Made in Louise is one of the best places to stay in Brussels. Close to the Abbey of la Cambre, the National Geographic Institute and the Avenue Louise, this is a home from home for people with stylish minimalist tastes, and also a taste for the best Belgian beers. Served in the conservatory/bar. For more traditional decor, try Le Dixseptieme. 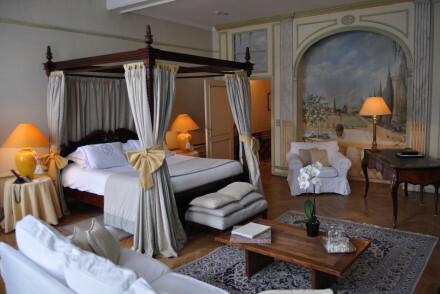 This hotel has four poster beds, fireplaces and wooden floors - but it's refined not opulent. More importantly for city breakers, it's only about two minutes walk from the Grand Place, so definitely one to book if you want to be in the centre of things. The Augustin is a freshly renovated townhouse with 47 rooms and suites. The decor is contemporary and stylish and the location is excellent. If you're looking for somewhere you can feel like it's just the two of you, then have a look at the three bedroom B&B, X2Brussels. Close to the main sights and also the fashionable Dansaert area, this B&B has large airy rooms decorated in white. It's simple and reasonable, but most important, intimate. 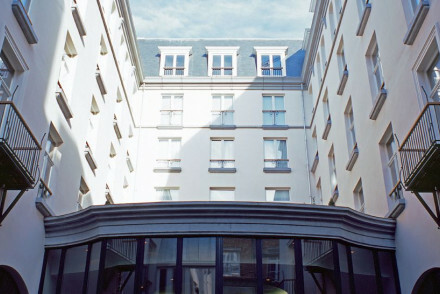 For five star romance, the Hotel Amigo is one of the best places to stay in Brussels. It's right in the heart of the city and surrounded by some excellent restaurants. Though the hotel's own Italian restaurant has won a number of awards. Come here for a spot of refinement and elegance, plus the service that you always get in one of Rocco Forte's establishments. If you're looking to impress, Odette en Ville is a good choice. A sophisticated townhouse hotel with cool black and white photography, black lacquered furniture and fabrics in plush shades of grey. If you want uber style in the Chatelain quarter, near shopping and nightlife, this is the place to be. The Hotel Des Galeries is a boutique hotel inside the Galleries Royales Saint-Huber, with 23 beautiful rooms and suites - some spread over two floors. Expect parquet floors, wooden shutters and a cool, modern Belgian restaurant. 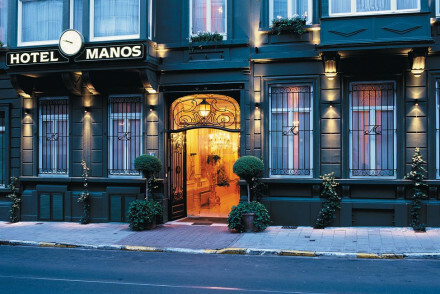 Manos Premier is a beautiful hotel in the centre of town, with 50 chic, contemporary rooms. Expect lots of natural light, lush gardens, a fully equipped spa and a fantastic French restaurant. Urban Rooms are a collection of three contemporary suites with garden views and a neutral colour palette. Simple, spacious and well located. 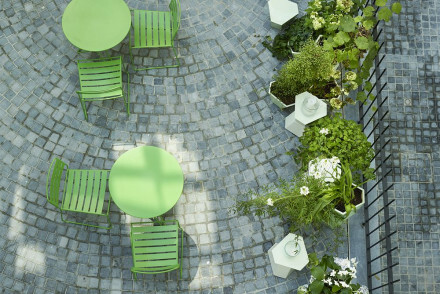 Unique and uber-cool, the Jam Hotel is an 79 room hotel in the Saint-Gilles district. This is shabby chic at its best, with a great roof terrace an outdoor pool, urban art and a lively restaurant. Centrally located and super chic, Aloft Brussels is a 157 room hotel with great facilities - including a fitness are and a live music venue. And you’re just 500metres from the European Parliament. Converted from a traditional townhouse, Maison Noble is now a grand, three room B&B with generous sized living areas and beautiful bedrooms. 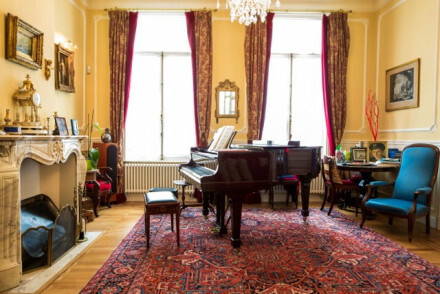 There’s even a grand piano and beautiful parquet floors. 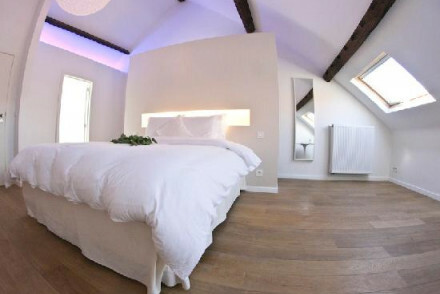 If you're looking for somewhere you can feel like it's just the two of you, then have a look at the three bedroom B&B, X2Brussels. Close to the main sights and also the fashionable Dansaert area, this B&B has large airy rooms done in white. It's simple, reasonable and most important, intimate. Brussels can be a relatively cheap city, as many of the great works of art are mounted on the walls of civic or religious buildings. There are also plenty of street markets to explore and numerous wonderful buildings to admire, including the National Basilica, the world's fifth largest church and largest art deco building. 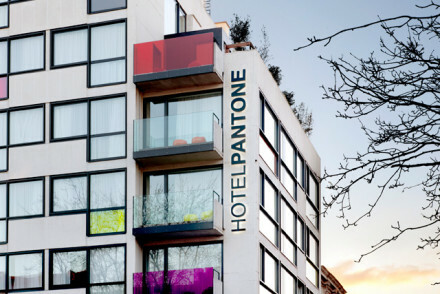 Starting from just £54 per night, the Pantone Hotel is perfect if you're watching your wallet. As the name hints, this hotel is contemporary, with bright, bold splashes of colour amongst basic white, clean lines. You're right next to the Avenue Louise, some rooms even have great views of the city. For around £75 per night you can stay at the Brussels Welcome Hotel, a fun, quirky, 17 room hotel converted from an elegant 19th century mansion. Expect original artworks and antiques in historic St. Anne. 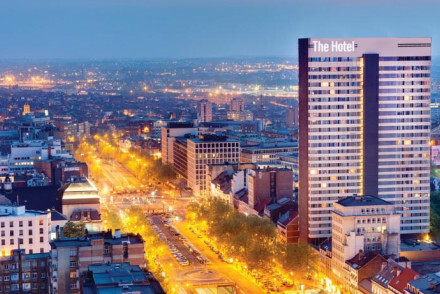 The Sofitel Le Louise is probably one of the best places to stay in Brussels if you're looking for a good deal - this is a five star hotel, but prices start from less than £100 a night. It's perfect for business travellers, though the fun, arty touches to the decor mean it really doesn't feel like a business hotel. If you're looking for something chic, and maybe a bit clubby, try Be Manos. 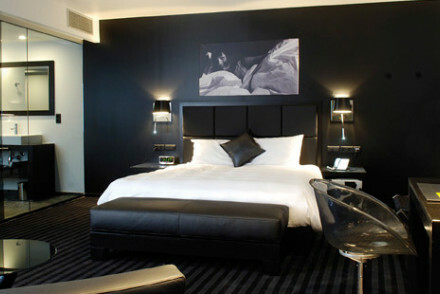 Its bold lighting effects and monochrome, high concept design style decor, don't get in the way of comfort and service. And the bar and restaurant are very good. If you’d prefer to stay in a private apartment we recommend you visit our online partner booking.com. Brussels Airport has excellent connections to the UK and other European destinations. It’s at Zaventem, nine miles outside the centre of town, and well connected to the centre by trains, which leave every 20minutes and take about 20minutes. Brussels is also well connected to the European train network by Eurostar. Summer is the most popular time to visit Brussels, but if you’re not restricted to travelling at particular times then it’s probably most pleasant during spring and autumn, when the weather is pleasant and the city’s main attractions are quieter. Quirky, fun and colourful hotel in 19th century city mansion with 16 individually themed ensuite rooms filled with original artworks and antiques. Located in historic St Anne quarter close to city sights, restaurants and cafes. Great for a city weekend escape. 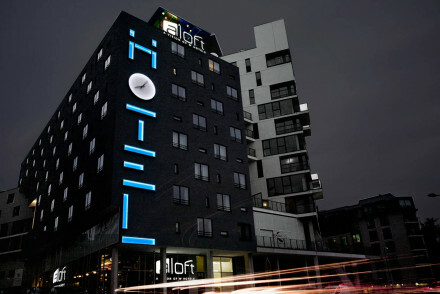 A funky and light-hearted modern retro hotel. Rooms, suites and family rooms have faux 60s style murals and big comfy beds. Smart parquet floored living areas and a lovely terrace. A refreshingly different choice. Families - Family rooms sleep 6. A beautiful hotel in the city centre. Contemporary chic rooms and suites have lots of natural light and sophisticated furnishings. Fantastic French restaurant and terrace, luscious garden, and a fully equipped spa. Perfect for the stylish city visitor. Sights nearby - Notre Dame du Sablon. A Five Star hotel with contemporary interiors. Bedrooms and suites have modern furniture, all the mod cons and splashes of modern art. Trendy bar and restaurant, and excellent business services. A great choice for the luxury business traveller. 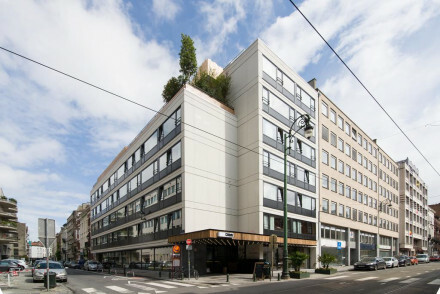 The contemporary Jam Hotel is located in the Saint-Gilles district of Brussels. Featuring plenty of wood and exposed brick walls, it offers shabby chic and uniquely designed accommodation. Enjoy the outdoor pool during the summer months and be sure to visit the restaurant! A fun and unique stay. City Style - A totally unique and uber cool spot- think tetra packed loft style beds, cocktails on the roof and urban art. 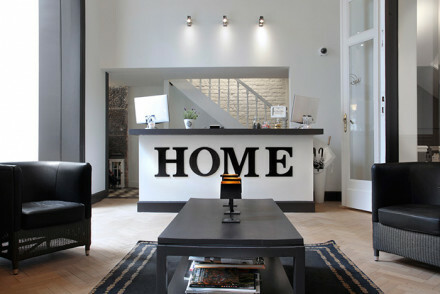 Value chic - One of Brussels coolest hotels, a stylish and suave spot- at a fantastic price! 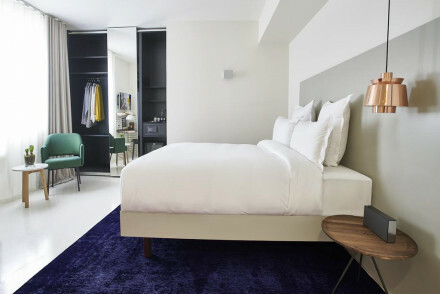 Trendy, contemporary retro hotel in the city centre. Monochrome and bold lighting effects throughout the interiors, bar and excellent restaurant. Contemporary rooms and suites in black and white with all the mod cons. Lovely outdoor terrace too. A chic spot. Urban Rooms offers guests contemporary suites with garden views and free WiFi. Bedrooms are bright and airy and decorated in neutral palettes in a minimalist style. The perfect location if you're looking to get out and explore the city, or visiting for work. Simple, intimate and spacious. 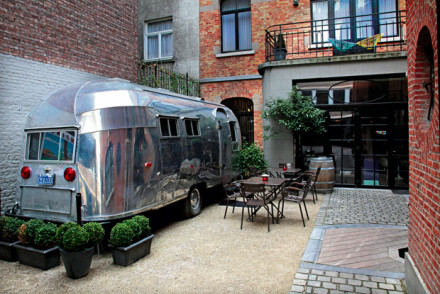 Local exploring - Located in the heart of Brussels this prpoerty is located ideally for exploring town. Stylish home-from-home in one of the city’s trendier districts; cool colours, funky wallpapers, big rooms and a relaxed atmosphere. Peaceful courtyard, too. Understated and chic. Sights nearby - Abbey of la Cambre and the National Geographic Insititute. Local markets - “Aperos du Chatelain”. Gorgeous boutique B&B with big bright airy rooms. 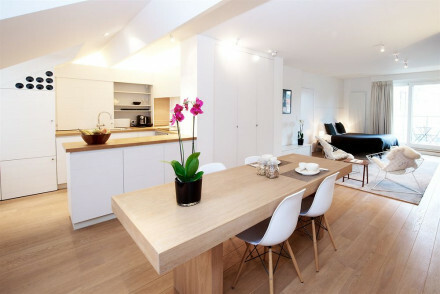 White washed walls, modern furnishings, subtle lighting. A more personal choice for a romantic break. Family friendly too. Sights nearby - Grand-Place, the Manneken Pis. A wonderful traditional townhouse B&B with grand living areas and beautiful rooms. Bedrooms have light parquet floors, lots of natural light, and enormous comfy beds. Lovely sitting rooms with grand piano. A sophisticated B&B. 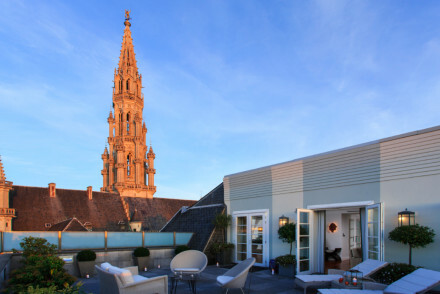 Recently renovated townhouse hotel just ten minutes from the Grand Place and within easy walking distance of the city highlights. Spacious rooms which are contemporary in style and feature seriously comfy beds make the ideal choice for a city break or for those here on business. Great value too. City Style - This recently renovated property offers a stylish base perfectly located to explore the best of Brussels on foot. Sights nearby - Just a short walk from Grand Place, the best bits of Brussels are very close by. Understated luxury and traditional elegance in a former convent. Classical furnishings, antiques, and floral fabrics adorn rooms, suites, and apartments. 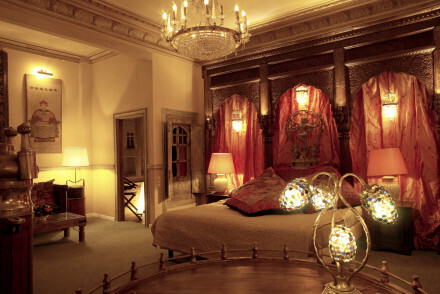 Bedrooms have four poster beds and marble bathrooms. Excellent restaurant and spa. A great choice for any traveller. Families - 7 apartments, some sleep up to 6. Elegant 4* 17th-century hotel with a low-key sense of luxury and a choice of historic or more contemporary rooms some with four poster beds. Lovely breakfast courtyard, excellent meeting rooms, and business centre. It caters perfectly to the business visitor. Sights nearby - 2 minutes walk from the Grand Place. All major sights are at most 15 mins on foot from the hotel. A chic and contemporary hotel tucked down a quiet street minutes from the smart shops and cafes of Place du Grand Sablon. Rooms are minimalist cool with bright white walls, sharp lines and plenty of light. An indoor pool and honesty bar are a real plus. Modern high rise luxury hotel in the centre of Brussels' designer shopping area. Smart rooms decorated in creams offer stunning views over the entire city. Gourmet restaurant and chic bar which also does a great line in afternoon tea! A sophisticated stay for sightsee-ers or shopaholics. Views - The views are simply superb....book a panorama room and you'll get at least two different angles! A luxury hotel in a renovated cloister. Traditional facades encase elegant contemporary furnishings and works of modern art. Rooms, suites, and serviced studios have all the modern gadgetry and lots of natural light. The bar and dining-room of this central hotel are a fashionable meeting-place, too. Boutique hotel inside city landmark Galeries Royales Saint-Hubert. Rooms have parquet floors, wooden shutters, unique furniture and very chic bathrooms. Suites are in the eaves over two floors. Modern Belgian cuisine in cool restaurant. Superb location, characterful and good value. Sophisticated and smart townhouse hotel. Sultry interiors combine black lacquered furniture, black and white photography, and spotless white walls. High tech bedrooms are similarly classic and have stand alone bath tubs. 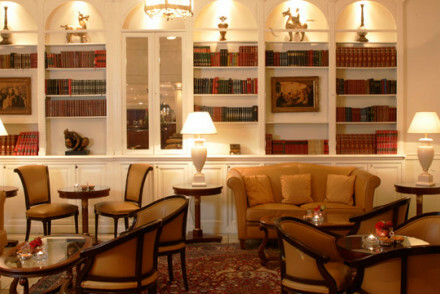 Fashionable bar and restaurant and extensive library. A grown up spot. Five-star luxury in the city’s best location with restful, classic-contemporary rooms, a choice of dining areas and tip-top service - including concierges who know all the city’s best secrets. Refined, classic, indulgent. Sights nearby - Situated in the heart of the city. Most sights are within walking distance.